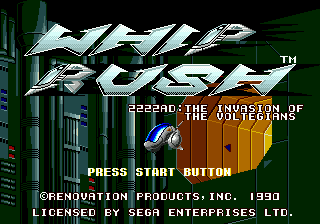 Whip Rush © 1990 Renovation. North American release. 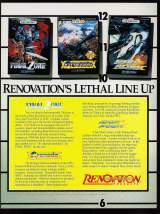 Game developed in Japan. See the original for more information: "Whip Rush - Wakusei Vortegas no Nazo [Model G-4031]". Released in October 1990 in the USA (seven months after the original Japanese release).